Ed Curtis and his wife Carolyn were blindsided in 2011 by a rare cancer they had never heard of — multiple myeloma, a cancer of the blood afflicting fewer than 200,000 Americans a year. The Villages residents in Central Florida set to work learning all they could about the disease, along the way starting the Villages Multiple Myeloma Support Group which Carolyn founded in their community just northwest of Orlando. After four years of treatment Carolyn lost her battle with multiple myeloma. Today Ed continues to carry on her memory and raise awareness of the disease through his tennis instruction at The Villages and a series of fundraising efforts and events. “I currently run a Masters Tennis program five days a week with at least 15-20 players each session,” Curtis says. The Masters Tennis program utilizes smaller courts and slower balls to make the game more accessible for players. Certified by the Professional Tennis Registry, Curtis has taught tennis for almost 25 years. 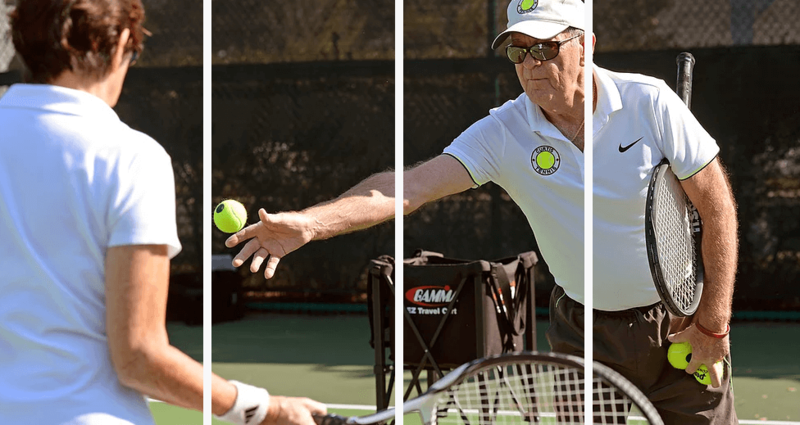 He organizes a number of tennis introductory classes at The Villages including Masters Tennis, which gets players immediately rallying and playing doubles with friends. “Learn or re-learn the fundamentals of tennis” is his mantra. Well-acquainted with the rigor and demand of cancer patients’ needs to travel distances to specialty medical facilities, Curtis approaching this, his third year of fundraising events, has distributed more than 150 gas cards to cancer patients. He has raised more than $1,800 in gas cards in 2018 alone for the Multiple Myeloma Support Group at The Villages. and has a goal of hitting $10,000 in total donations over three years in 2019. 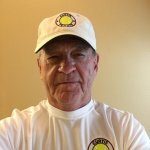 USTA Florida congratulates and thanks Ed Curtis as the January 2019 Volunteer of the Month for introducing new players to the game and supporting tennis in The Villages, and for assisting those battling cancer in Central Florida. “I would like everyone to experience to the joy of tennis,” Ed says. “It’s the sport for a lifetime.” Learn more about Ed and his fundraising efforts at www.curtistennis.net.